Muddy says: A great find – nestled between Redhill and Reigate – this friendly pub offers unpretentious food, a great selection of beers and a cracking wine list. 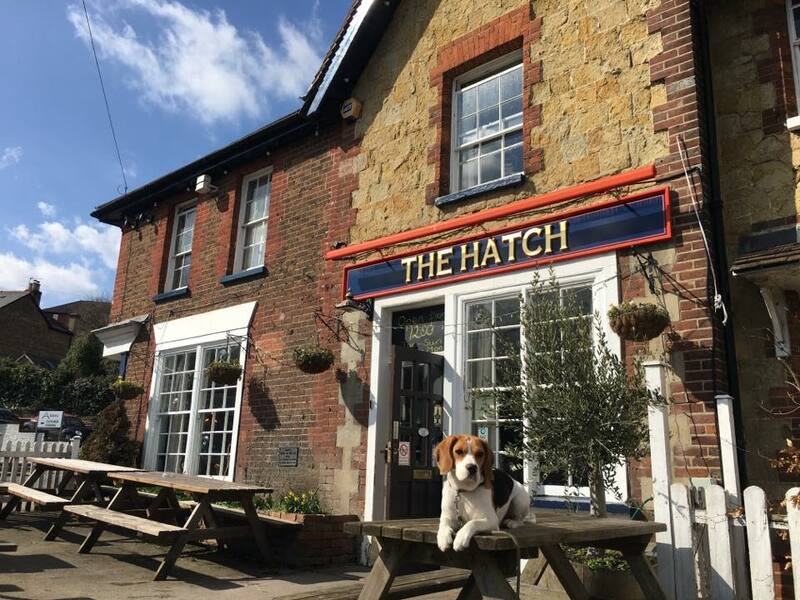 If you’re looking for a relaxed traditional pub serving tasty plates of food – you’ve found it at The Hatch. It touts itself as a great independent foodie pub – and indeed that’s what it is – with a menu that changes frequently offering freshly-cooked traditional pub food. There’s also a great selection of beer and a brilliant wine list. The pub has recently undergone a massive spruce up – and is now a vision of modern rustic loveliness. There are a number of cosy and comfy nooks and crannies – the perfect spot to curl up with a pint and a good book. There are even some there! Dogs are welcome, as are kids – with child-sized portions offered on all meals, including the Sunday roasts. Keep your eyes peeled for special events – The Hatch hosts film night, pop-up wine and cheese tastings and quiz nights, among others. There’s also a back room available for private hire, with space for 24 for dinner. The patio and back room are also available for private hire with the option of hosting a BBQ.